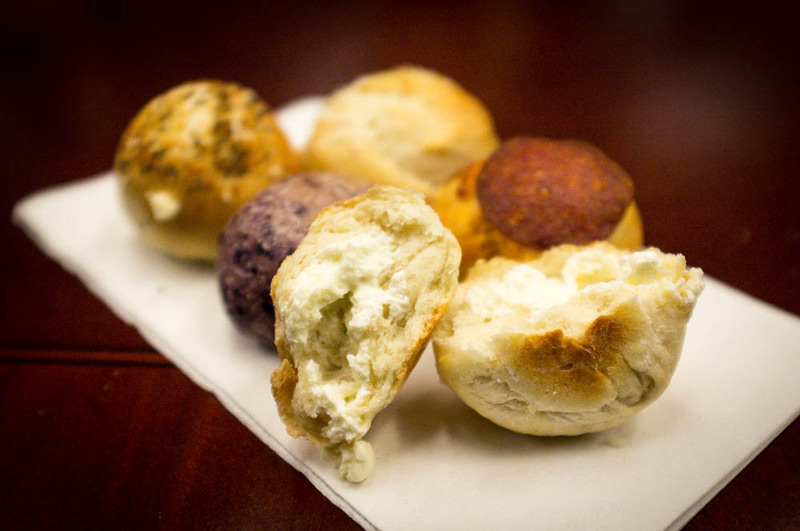 Have you had a bagel ball from Bantam Bagels yet? These are newcomers to the New York food scene that’s already full of fun and whacky creations like the cronut and ramen burger. The concept is so simple yet ingenious – little bite size bagels stuffed with cream cheese. And I was lucky enough to try a wide selection of the offerings at Bantam when CM brought them in for our weekly Friday team breakfast. My favorite? The pizza balls topped with a singular slice of crispy pepperoni and stuffed with marinara mozzarella cream cheese.